A perfect start into the world of martial arts for children ages 7-14. Our Youth Kung Fu classes are divided into levels to insure the constant improvement and growth. 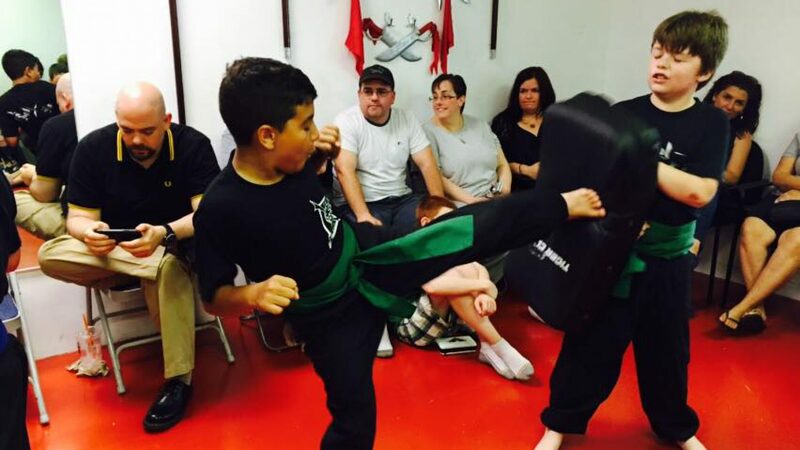 Our classes will teach your kids confidence, self defense, discipline, a strong work ethic and self reliance. Risk Free Trial: 3 weeks and a uniform for just $39! Attend as many classes as you like for 3 weeks. Weeks are consecutive. Restrictions by age and rank apply. Uniform will be given the first day of class. Trial membership starts first day of class. Trial membership expires if not used within 1 month of purchase. Limit one trial membership per customer. New members only. Past members, current account holders may not participate. * Please plan on arriving 15 minutes prior to your first class to ensure that you will have enough time to change clothes as well as meet the instructors and other students. * Wear comfortable loose-fitting clothing, such as sweatpants or loose pants, t-shirts, etc. Please do not wear tank-tops or shorts. 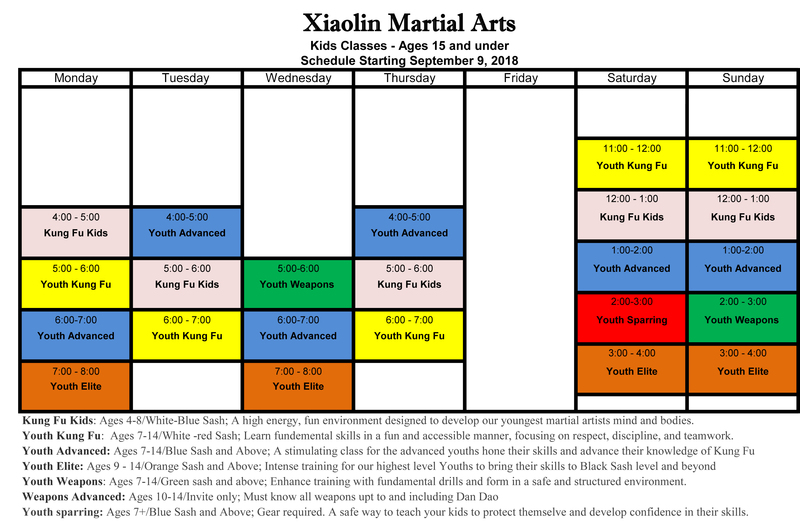 For more information please email us at info@xiaolinmartialarts.com or call (718) 340-3883. We are also on Instagram (@xiaolinmartialarts) and Facebook (@xiaolinmartialarts). We are more than happy to answer any questions you may have.